The keystone to any quality system is definitely organization. 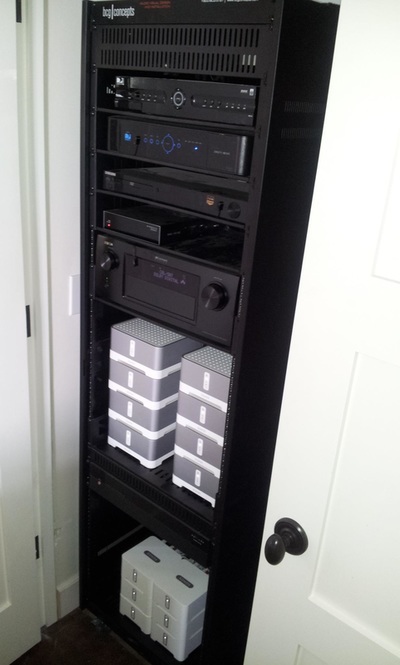 In an integrated home system, the best solution is a well organized custom rack system. 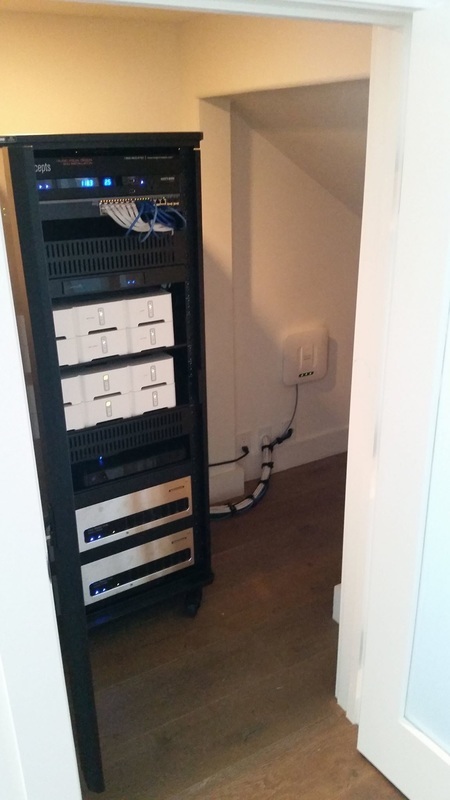 BCG Concepts offers products from Middle Atlantic that encompass every racking need, from smaller residential projects to large scale commercial systems. The rack is the one place where every component and system wire runs. 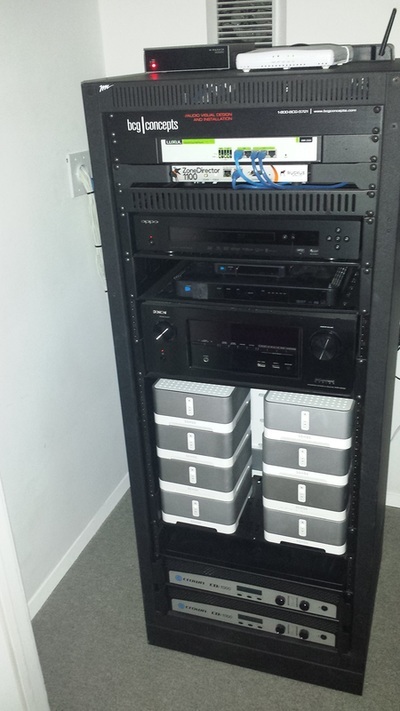 All of the speaker wires, cable TV, satellite, antennas, video wires, HDMI cables, CCTV wires, gaming consoles, and much more, all neatly terminate at the rack location. 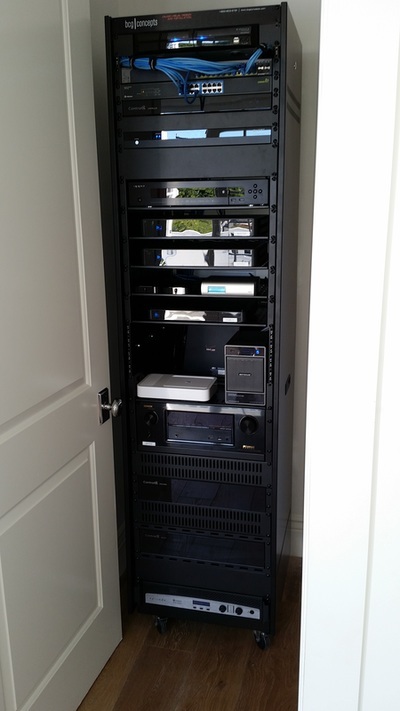 With a custom rack system, everything is in one organized space, eliminating the potential tangle of cords behind your entertainment center, and making all the elements of your system easy to find, see, and control. 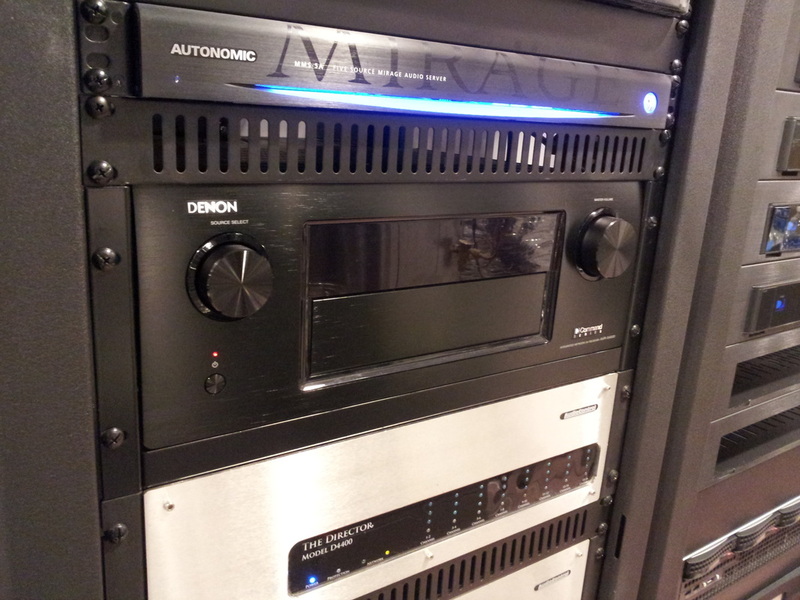 A custom rack system, when done properly, serves a functional purpose as well as an aesthetic one. 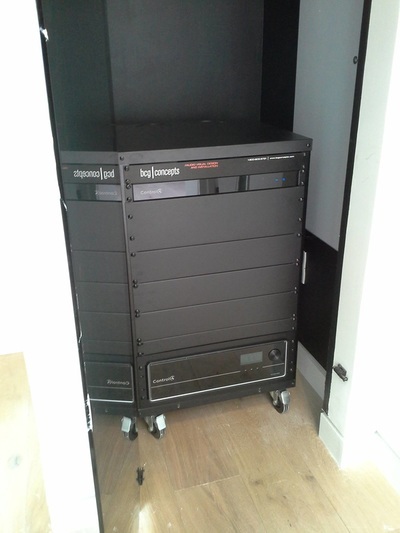 With custom shelves milled to the exact specifications of each piece of equipment, there are no gaps in the front panel, making the most efficient use of your space - the sign of a truly professional system. BCG can design your custom rack system to be tucked away discretely in a cabinet or closet, allowing you to enjoy your system without the clutter and without disrupting the design of your space.